Bouldering, my favorite type of rock climbing, is a sport in which you climb to a max height of about 20 feet with no rope or harness. 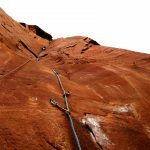 This type of climbing also requires the least amount of gear which makes it perfect for beginner climbers. For the most part all you need are climbing shoes. However, the vast majority of boulderers use a “crash pad”. A crash pad is a cushioned mat that provides a safe landing to the climber if they were to take a fall from the rock. When someone climbs a section of a boulder it is referred to as a “problem”. The difficulty of a particular boulder problem is given rating or grade. These grades are based primarily on two scales that are convertible to one another: The Hueco V (Vermin) Scale or the Font (Fontainbleau) Scale. 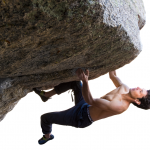 Grades in the bouldering world are always a controversial topic since grades can be subjective. For more information about bouldering grading systems check out the link here: Bouldering Grading Scale. Bouldering originally started as a type of training for longer rock climbing ascents. The practice of bouldering was also used to help build forearm and finger strength. It enacts elements of gymnastic flexibility as the American bouldering pioneer John Gill so famously introduced in the 1960s. 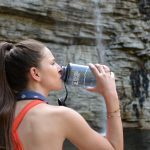 Bouldering has grown in popularity since then with many new bouldering areas discovered yearly along with the strong media presence of national and international bouldering competitions. A great site to check out a lot of this media is Louder Than 11. One of the best ways to get started in bouldering is at your local gym. 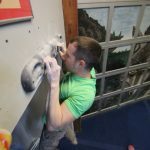 Every gym in the northeast region has a dedicated bouldering wall which contain a multitude of problems of varying difficulty. These gyms are great for meeting up with other individuals who climb outside and can introduce one to the outdoor boulder fields. 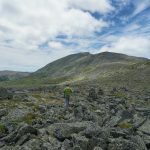 Bouldering is an easy sport to get involved in that can provide climbers of all abilities with exhilarating experiences but especially for beginner climbers. However, all safety measures should be taken to prevent injuries. Always boulder with a crash pad, wear a helmet (even though I’m not wearing one in these photos), invest in a good pair of climbing shoes, mind the landing areas, and always have a spotter (someone who guides you to the crash pad if you fall)! 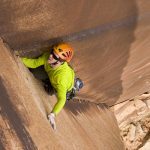 Now that you know the bouldering basics, get out there and climb!